At my job I work with hundreds of pieces of equipment that are run by PLC’s (Programmable Logic Controllers). They are the minds of these machines. Every once in awhile I have to RESET these PLC’s in order to clear out faults, errors, and unwanted information that is stored. What happens if I don’t clear it out is that the machines begin to operate incorrectly. They are hampered in their operation because of all the clutter. It is the same in our Christianity. Admit it, when you drive by a place or hear a certain person’s name mentioned, unwanted thoughts enter your head. You begin to dwell on their faults and how you were hurt by them. You begin to conjure up imaginary conversations and how you will get the last word the next time you bump into them. If you begin to practice this RESET process, two things will happen as time goes by. First, you will experience the peace that Jesus has your hurts in His hands rather than you. Second, the more and more you RESET, the easier it gets. Whether you are a newborn Christian or whether you have been a Christian most of your life, RESETTING your Christianity is the only way to live a victorious life. 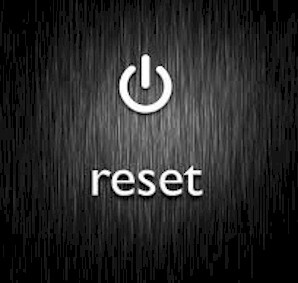 I believe the reason there are so many miserable Christians around is that they refuse to have their RESET buttons pushed. This entry was posted in Challenges and tagged Christian Reset Button, Jesus and Your Reset Button, Resetting Your Christianity. Bookmark the permalink.